\nbarely fit in (rear wheel rode up half an inch). \nwrapping a bungee around rim and rack numerous times? \n barely fit in (rear wheel rode up half an inch). \n wrapping a bungee around rim and rack numerous times? \nYou should look into getting a few Cohglans Arno Straps. They are like super long nylon toestraps and have a metal buckle that does not fall apart when reefed really tight. I\'ved used them to secure a recliner rocker chair to my rear bike rack. I also use them for fastening everything to the bike when touring. In addition to that I use them for holding the rolled up sleeping bag, tent etcetera instead of having to fumble with laces etcetera. Here\'s a link to an actual card with two Arno straps on it. \nYou can get them in lengths of 36" to 60". The straps are 3/4" wide. \n You should look into getting a few Cohglans Arno Straps. They are like super long nylon toestraps and have a metal buckle that does not fall apart when reefed really tight. I\'ved used them to secure a recliner rocker chair to my rear bike rack. I also use them for fastening everything to the bike when touring. In addition to that I use them for holding the rolled up sleeping bag, tent etcetera instead of having to fumble with laces etcetera. Here\'s a link to an actual card with two Arno straps on it. \n You can get them in lengths of 36" to 60". The straps are 3/4" wide. \nI forgot to mention that I use those Arno Straps to secure my mountain bicyle to the front rack on our inter-city bus. It\'s great insurance for when the bus is running at highway speeds. \n than wrapping a bungee around rim and rack numerous times? \n an actual card with two Arno straps on it. \nhandy when something structural breaks on the bike during a trail ride. \n insurance for when the bus is running at highway speeds. \nto the bus depending on curve direction (away from the hook). \n handy when something structural breaks on the bike during a trail ride. \n to the bus depending on curve direction (away from the hook). \nDon\'t forget to design for small wheel, short wheelbase shopping bikes. \nwheelbase recumbents. For recumbents with 20" wheels and 700c wheels. \nelectric assist bikes, and electric powered bikes. \nDon\'t worry about unicycles. This is a BIcycle discussion group. \n Don\'t forget to design for small wheel, short wheelbase shopping bikes. \n wheelbase recumbents. For recumbents with 20" wheels and 700c wheels. \n electric assist bikes, and electric powered bikes. \n Don\'t worry about unicycles. This is a BIcycle discussion group. \n This email has been checked for viruses by Avast antivirus software. \nI\'ve been seeing those long wheelbase pickup bikes more and more often. \nNever knew those had such an official formal name. Coghlans Arno Straps. I always just called them "straps with buckles on the end". \n Never knew those had such an official formal name. Coghlans Arno Straps. I always just called them "straps with buckles on the end". \n even that barely fit in (rear wheel rode up half an inch). \nstop for 4min. Not good. \nmuch to accommodate the one percent with unusual bikes. \n much to accommodate the one percent with unusual bikes. \nThe Arno Strap I reference in my earlier reply are so simple to use. What\'s really neat is that they are so easy to release and doing so does not delay the bus for more than a few seconds. When not in use to hold the bike to the bus rack an Arno strap can be used for many other things - such as towing another bicyclist or strapping a keg of beer to a rear bicycle rack. LOL I use a couple to hold my big jug of spring water to the rear bicycle rack when I go to and from the freshwater spring to refill the jug. \n story short my 29er bike didn\'t fit in and neither did my friend\'s. \nobligated to hold those and for good reasons. \n obligated to hold those and for good reasons. \n a thoroughly botched design. \nAround here the bus drivers don\'t mind the few seconds it takes to use a long Arno strap to secure the bike to the rack. I just loop the strap around the top tube of the bike and then around the bus rack and cinch the Arno strap tight. It takes just seconds and I usually have it done whilst other passengers are getting on or off the bus. \nArno straps are really tough as are their buckles. I\'ve never had an Arno strap fail nor its buckle even when being used in the dead of winter. I\'ve had many a plastic buckle snap when being cinched in winter\'s cold. \n med-tech we are obligated to hold those and for good reasons. \n constitutes a thoroughly botched design. \n ring might work. They\'re fast to install and surprisingly strong. \n method and we\'d be stranded. \n have it done whilst other passengers are getting on or off the bus. \nMTB one wheel rides on top of a slot rail end instead of down in the slot. \nstrands so they won\'t unravel. \n Around here the bus drivers don\'t mind the few seconds it takes to use a long Arno strap to secure the bike to the rack. I just loop the strap around the top tube of the bike and then around the bus rack and cinch the Arno strap tight. It takes just seconds and I usually have it done whilst other passengers are getting on or off the bus. \n Arno straps are really tough as are their buckles. I\'ve never had an Arno strap fail nor its buckle even when being used in the dead of winter. I\'ve had many a plastic buckle snap when being cinched in winter\'s cold. \nI have more concern for the other bus or BART passengers if you\'re holding things up. \nwobbly legs" or "I need a way to carry this bag on the back of my bike"
\nor a bunch of other things. \n"... if you screw this in two places..." or whatever. \nInvariably, he\'d say "That won\'t work, because..." and spout some nonsense. \ndo you think?" and later "Well, you could try that if you like." \n mounting method and we\'d be stranded. \n wobbly legs" or "I need a way to carry this bag on the back of my bike"
\n or a bunch of other things. \n "... if you screw this in two places..." or whatever. \n Invariably, he\'d say "That won\'t work, because..." and spout some nonsense. \n do you think?" and later "Well, you could try that if you like." \nI have occasionally had a problem with my MTB in a Swiss train. \nfitting to keep it from swaying too much. \nsolving it involves more than just replacing the hooks. \nThat works well, and it\'s easier to park your bike. \n I have occasionally had a problem with my MTB in a Swiss train. \n fitting to keep it from swaying too much. \n solving it involves more than just replacing the hooks. \ndevise a solution and build a prototype in one afternoon. \n That works well, and it\'s easier to park your bike. \non Thursday and now his shoulder hurts badly. \nBoth look like very good ideas. The Ferry Boats around here have very crude conditions for bikes. On the stern there are the semi-hanging bike hooks but that is only few in numbers. So in the passenger compartment there is a large space where people just throw all their bikes together leaning against one another. There isn\'t a lot of swaying because the boats are twin-hulls with turbines but I always try to be at the head of the line to get to the hooks in order to not get into that mess. The ferry-boats also have bars so I suppose that\'s why people don\'t care how their bikes are handled. \ndidn\'t complain. A Bike Friday is an unusual design. It requires compromise. \nwas packed with bikes, and ours barely fit, but we made it. \nbuses they can build a rack with a longer and wider wheel tray. \nFolsom to Sacramento) but never on a bus. \n buses they can build a rack with a longer and wider wheel tray. \n Folsom to Sacramento) but never on a bus. \ndirector of marketing (who responded immediately). \nmight be that your bike is too long. \nOr perhaps that is too subtle for you? \n might be that your bike is too long. \n Or perhaps that is too subtle for you? \nnot extremely tall guy. So yes, it is the rack designer\'s fault. \nbuy. Mitsubishi knew how to design it correctly so that\'s what I bought. \nHey, don\'t use my name in vain. I didn\'t say the racks would work for you. \nNothing works for you. I said you complain a lot about supposed bad government and do nothing about it. \n with one end open. \n The two outer slots were the same as before, bad design, too short. \n inner slot was free. \n Hey, don\'t use my name in vain. \n6\'4", which is taller than I am. \n for you. Nothing works for you. \n supposed bad government and do nothing about it. \nthe planning and marketing manager of our transit agency. \n to 44 inches. 44" wheelbase is long. \nto axle. This is the 21st century, not the 20th. \nthe axle distance of my road bike and it did not fit in. \nlarge and should fit. But it did not. \n 6\'4", which is taller than I am. 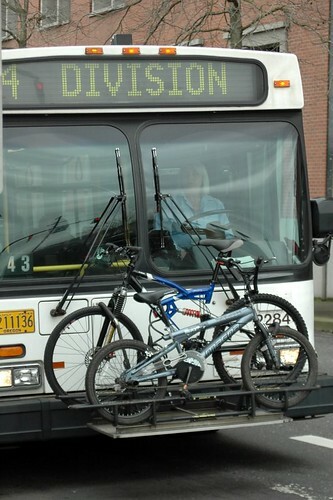 \nI\'ve never used a bus bike rack because I ride everywhere and do not need to have my bike hauled on welfare-based mass-transit created by nanny government. 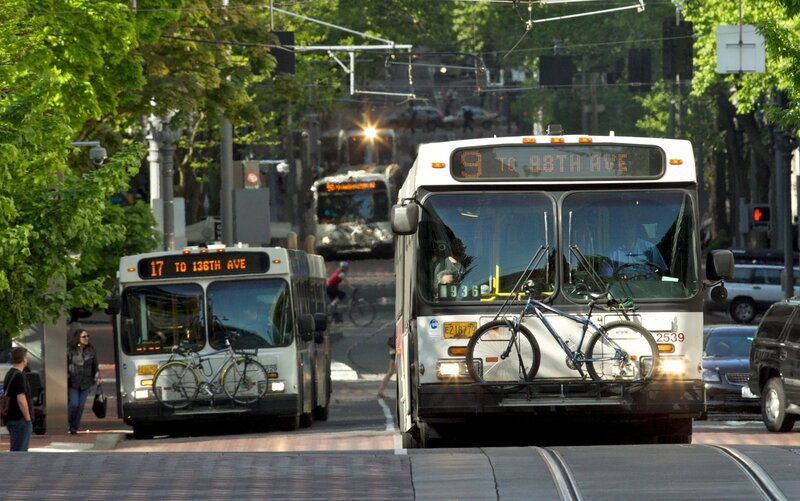 Buses are for loser proles who are sucking off the public teat and not for real men like myself who live in the wilds of Oregon. \nBut now that we\'re going on about bike bus racks, I\'ll go to the practice spot and see if my bike fits. I\'m assuming Sacramento is using a standard SportWorks model, which is basically the national standard rack. https://www.youtube.com/watch?v=avQ6ZHKvNgI That Trek has a 41.7 WB. Go to :33 https://www.youtube.com/watch?v=ETtnX_KScI8 A Volpe with fat tires. Maybe Sacto is screwing with you and sending you buses with the super-short racks. \n all should be designed. \n the planning and marketing manager of our transit agency. \n to axle. This is the 21st century, not the 20th. \n the axle distance of my road bike and it did not fit in. \n large and should fit. But it did not. \nThis sounds more and more like an operator problem. \nSo what is the wheelbase of your road bike? And what\'s the wheel size? \n So what is the wheelbase of your road bike? And what\'s the wheel size? \n39-1/2", regular 700c wheels and 25mm tires. \nwrong, as were both slots on their 2-slot racks.